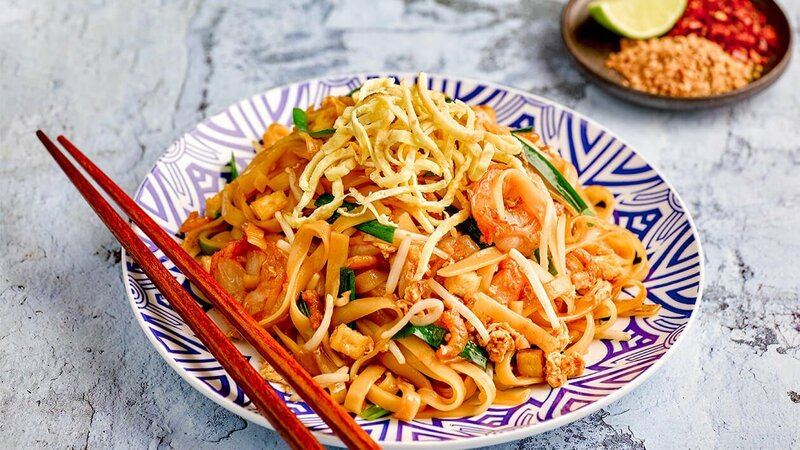 Traditional Pad Thai Noodles can now be enjoyed in a jiffy with the help of Knorr Concentrated Tamarind Sauce. The result is so deliciously satisfying. In a mixing bowl, mix everything together. Heat up wok with oil, stir fry shallot and radish till fragrant. Stir fry egg till foamy, stir fry rice noodles, add water and dark soya sauce occasionally till noodles are soften. Add in pad Thai sauce while stir frying. Fold in tofu, dried shrimps, bean sprouts, chives and stir fry till well mixed.